Tamul Plates Marketing Private Limited, a Dhriiti enterprise, promotes non-farm employment opportunities and work with what nature brings for free, year-round: the Tambul (betel nut in Assamese language) or Arecanut palm tree. 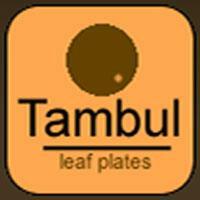 Tamul Plates produces and markets high-quality, all-natural disposable plates and bowls made from arecanut (palm) tree leaves. With over 100,000 hectares of arecanut currently farmed across Northeast India, tableware production could become a major year-round employer in poor tribal communities across the Northeast. Women on Wings and Tamul Plates join hands in taking the social enterprise to the next level. At the start of the partnership, Tamul Plates offered employment to 400 women. The joint goal is to grow towards over 3,000 women by 2020. Women on Wings will support Tamul Plates by working on a new business plan and support in the implementation.